Summer is coming to a close, kids are back in school and families are starting to focus on getting things done other than blowing up pool floats. Fall is a busy time for all of us, but it’s also the perfect time to slowly start getting your vehicle ready for the winter, (yuck, the ‘w’ word), months ahead. Getting a head start in the fall means that you don’t have to scramble in once winter does hit and it may be too late. The following are our Fall Car Care Tips to help get your vehicle ready for both fall AND winter. No need to have all these done at once. Spread the cost out over the fall so that by winter you’re safe and ready to drive! 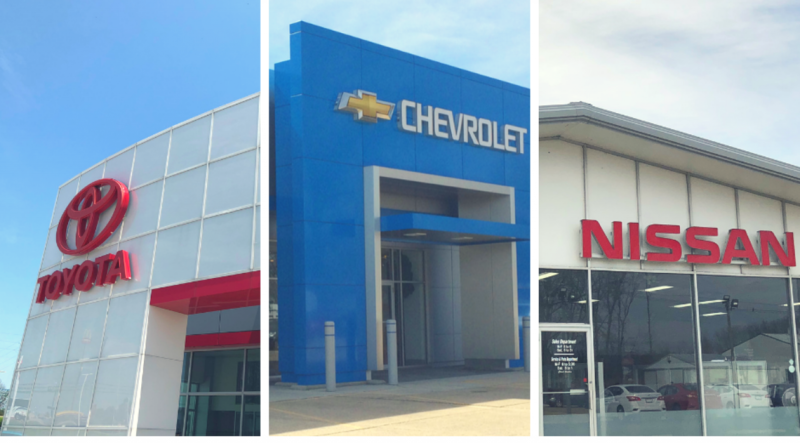 Here are our September Service Specials for Toyota , Chrysler/Nissan , and Chevy Buick GMC. Check your Tire Tread – you can visually check this yourself. The easiest way is to grab a penny and insert the penny into a tire groove on each one of the tires. Make sure that Abe Lincoln’s head is upside down and facing you. If you can see ALL of Abe’s head, it’s time to replace your tires. This isn’t a fool proof test though, depending on your tires, so if you have doubts, definitely bring your tires in to be checked by a service professional. Check ALL your Lights – it will start getting darker sooner and you don’t want to be caught out driving at dusk with lights that don’t work. Grab a family member or friend and have them help you check to see that your brake lights, turn signals and high beams all work. Check fluid levels – most vehicles will now alert you when you need to replace fluids or if there is a fluid leak, but if you have an older model vehicle, you will need to check for these manually yourself or have a service professional do an inspection. Washer fluid – this is an easy issue to rectify yourself and washer fluid is inexpensive. But oftentimes people forget to refill this and then find themselves in a scary situation when “winter” weather creeps into fall months without warning. Heating and Cooling – checking the HVAC system is something that is a little bit more difficult to do at home. Obviously, you can tell if your AC/Heat has completely stopped working, but if the system is on it’s way out, you may not notice right away until the temps drop drastically. But at a service center this is a quick test and they can tell you exactly how adequately yours is working. Tire Pressure – air pressure in a tire decreases 1-2 pounds for every 10 degrees of temperature change. This is something that you will want to check a few times each season. And the nice thing is that putting air in your tires is free! Not just to help ensure your safety this fall and winter, keeping your car properly tuned can improve your gas mileage by an average of 4%* – everybody likes saving on gas money!